Canrack Metal Center Systems not only knows how to work hard, but how to play hard. Being a leader in the metals industry as a specialty equipment supplier and material handling specialist has allowed us to develop an appreciation for how critical speed is to your business. We have taken that philosophy to the next level and are proud to sponser a Legends Series race car. Click here for more information. 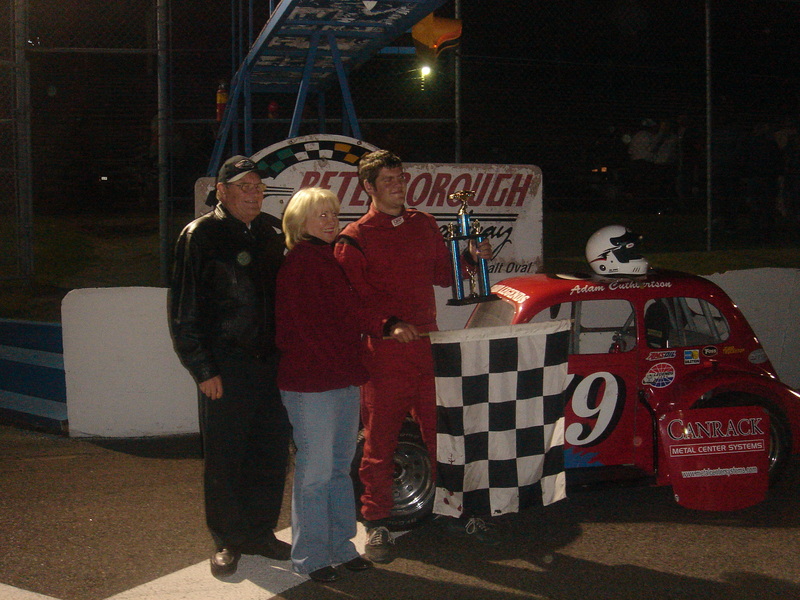 Driven by Adam Cuthbertson son of an employee our red #79 placed 4th in Rookie Standings in the first year racing (2005) and 12th overall from a field of 23 racers. Improvements were seen every race and missed 1st place Rookie standings from 2 missed races. Legends Cars are a 5/8 scale versions of 1930s & 1940s Chevrolet, Ford and Dodge, coupes and sedans, powered by a 1.2 liter (75 cubic inch) engine makes them capable of speeds over 200 km/h (120 mph). 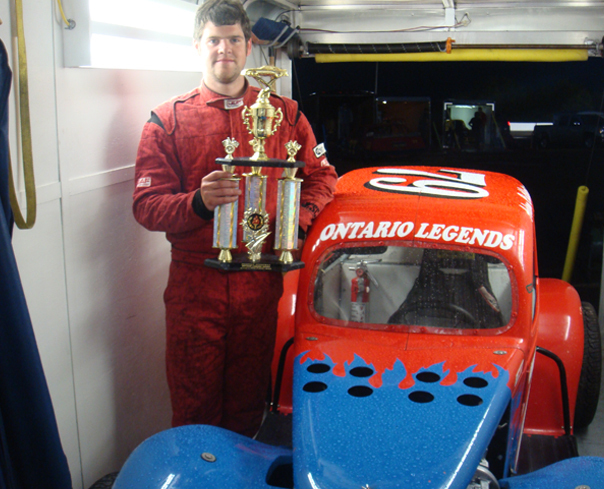 Legends Cars are one of the fastest growing segments of motorsports today, raced at over two hundred tracks and speedways in Canada and the United States. Some of the top drivers in CASCAR, NASCAR and BUSCH series have, and still do, race Legends Cars. A strict rule book and technical inspections are the ways INEX* keeps the cost of racing to a minimum and competitive. This puts winning in the hands of the driver and their team, not their wallets.